If you’re looking for the services of an A-Grade electrician, Malvern locals can count on E J Lack Electrical to deliver! Located in Hawthron, we’ve been servicing Melbourne locals and their electrical needs since 1963, achieving top results with friendly services and hard work. We will expertly handle any and all electrical repairs, installations and maintenances with our signature top-quality service. It doesn’t matter if you own a residential and commercial property – we can handle any job that comes our way. Our professional service has top-quality workmanship at very competitive prices. If you need quality electrical contractors, Malvern home and business owners are always satisfied with the services we provide! Switchboard upgrades, video/audio intercom systems, whole-home wiring (both new and ), safety switches and many, many more. We handle each and every job with efficiency, honesty and the best quality of work. 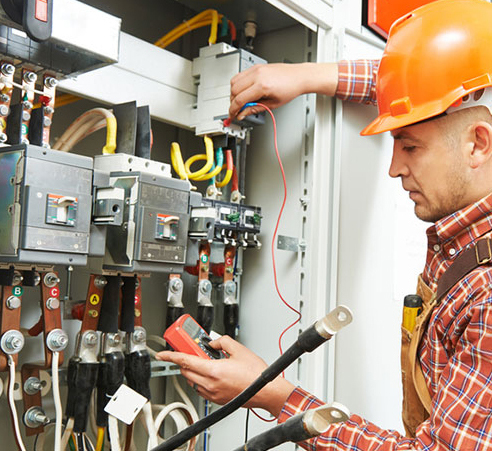 Our expert qualified electricians have been in the business for years and years, knowing the ins and outs of most industrial and commercial electrical systems. No matter how large or small your job is, we’ll get it done! We believe in the quality of our services so much that we even offer a 12-month labour warranty!